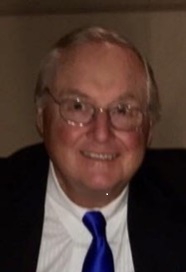 York, Maine- William "Bill" R. Plummer, 73, passed away Saturday, February 2, 2019. He was born March 15, 1945 in Beverly, MA the first of two children to James William and Yvette Vivian (Tremblay) Plummer. Bill attended Middletown High School and earned a Bachelor of Arts in Education from Monmouth University in West Long Branch, NJ. Bill pursued an extensive career in business, sales and marketing. He retired as Director of Sales and Business Development for Xerox. After his marriage to Connie Bartlett in October 2018, he had plans to enjoy golf and life in York, Maine. Bill is survived by his wife Connie J. Bartlett; his mother Yvette V. Plummer; sister Teal Plummer of Nashua, NH; cousins Charley Plummer of Florida, Greg Wadland of Merrimack, NH, Kim Wadland Wynne of Wells, ME and their families. His son, Timothy James Plummer predeceased him in 1996.